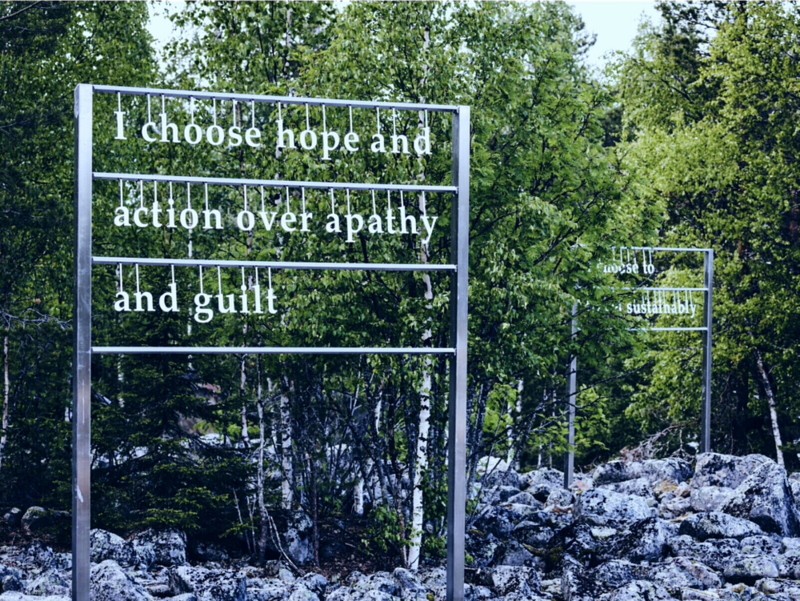 Seven Steps to Save the Ocean is a permanent commissioned environmental work of art for Ranua Wildlife Park in Finnish Lapland, near the Arctic Circle. The work is situated inside the park, that specializes in arctic animals. 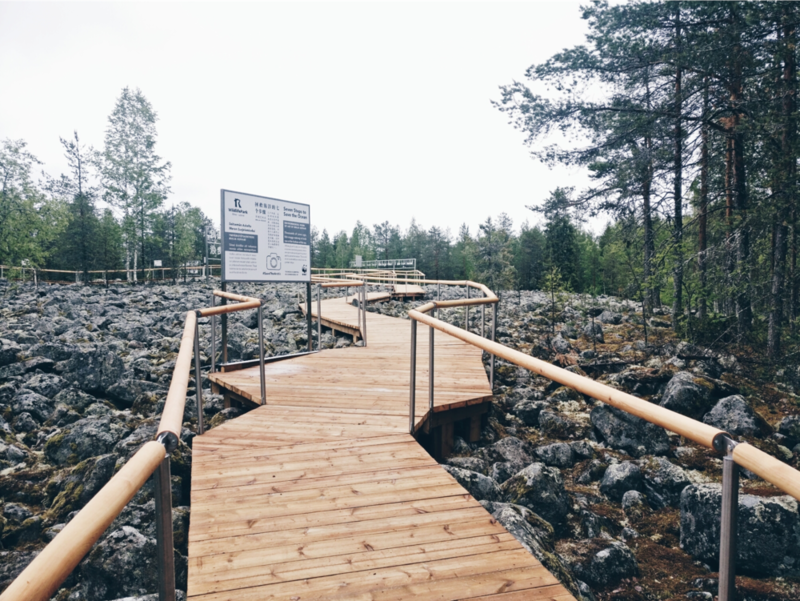 The work consists of a purpose built, about 140 meters (460 feet) long wooden pathway, that leads the visitor trough the ancient arctic landscape - a rocky field of ancient seabed. Inside the landscape, seven texts in three languages present small actions in everyday life that help curb climate change and thus protect our planet, and its current and future inhabitants in the surrounding Arctic and beyond. 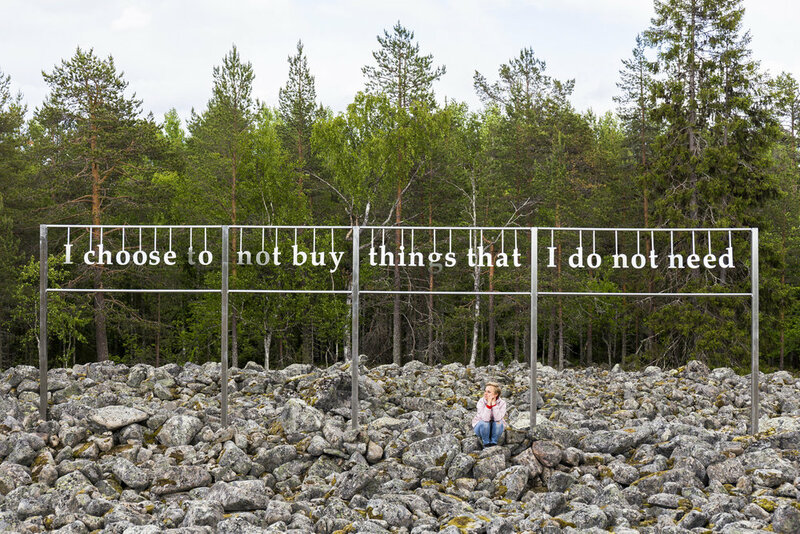 The work is one of the biggest environmental artworks in Finland. Together with the sentences and the surrounding rocky landscape, the overall size of the work measures approximately 150 x 100 meters (500 x 330 feet). Map of the park - the installation is number 28 on the left. Get the map with a list of animals here. The rocks covering the landscape are part of an ancient seashore, which was the nature of site about 9000 years ago. Linking the past of the arctic seas to their future, the work talks about how arctic areas are currently strongly affected by climate change - and the changes here are, in the future, felt around the world trough rising sea levels. There are seven short sentences in total, measuring from 2 to 10 meters in width and 3 to 4,5 meters in height (that’s 7 to 30 feet in width and 10 to 15 feet in height). 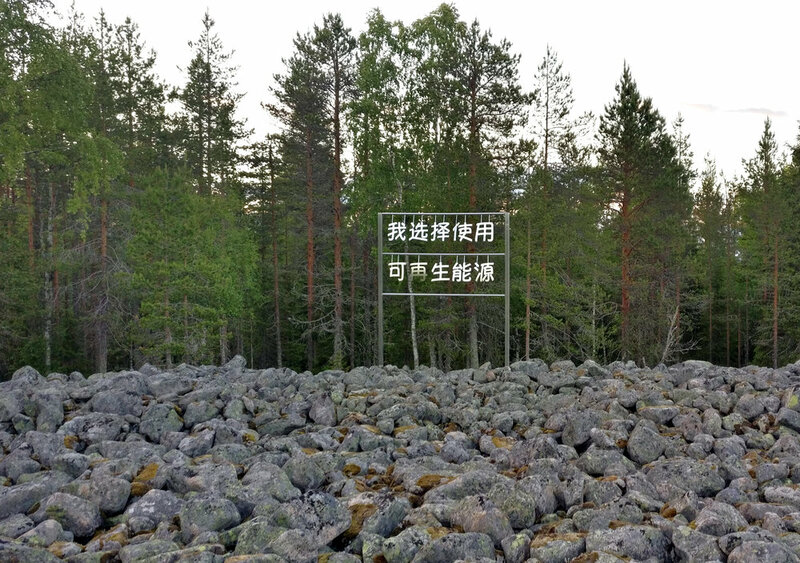 Each big text in the landscape is accompanied by a small sign along the pathway, showing translations and short additional info on the subject in question. You can read all the texts from the original print files of these signs below! 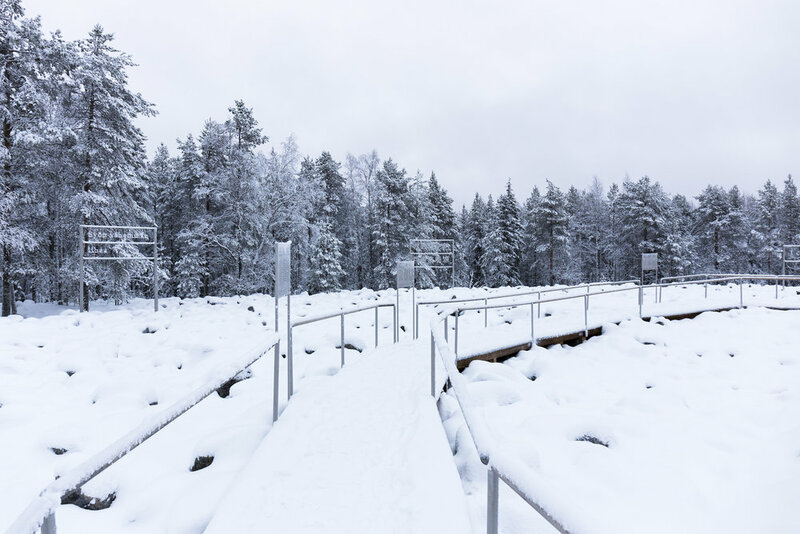 The arctic is at the centre of the question of climate change, and the work was opened on the year that Finland is holding the chairmanship for the Arctic Council. Arctic Council is "the leading intergovernmental forum promoting cooperation, coordination and interaction among the Arctic States, Arctic indigenous communities and other Arctic inhabitants on common Arctic issues, in particular on issues of sustainable development and environmental protection in the Arctic." The work was opened in Midsummer 2018 and is open year round. You can read more about the site of the artwork and how to visit it at Ranua Wildlife Park here.